International mobility has been reshaping the economies and societies of countries over the course of human history. In Europe, during recent years, media and policy-makers have been focused on immigrants from North Africa and the Middle East who cross the Mediterranean Sea to look for opportunities in Europe. This inflow may have deep effects on the economic, demographic, and cultural future of Europe. However, another important but much less noticed mobility phenomenon has been on the rise. This is the increased mobility of young, mostly highly educated individuals from Southern to Northern Europe, which is a consequence of free mobility in the European Union, and is driven by the differences in economic performance of European countries. In the aftermath of the deep 2008-2010 recession that affected the economies of Southern Europe badly (especially Greece, Spain, and Italy), a large wave of young, highly educated individuals from those countries moved to the UK, Germany, and other northern European locations searching for better job opportunities. In 2014 around 110,000 Italians migrated abroad, while, by comparison, the number of asylum-seekers in Italy was only 60,000. Had Italian migrants travelled by boat, we would have seen one boat with 2100 Italians leaving Italian shores every week. While mobility of people, in Europe and the rest of the world, brings large advantages to migrants and allocates economic resources where they are most productive, it may produce a drain on resources from the sending areas. Several studies have analyzed the negative effect of the drain of highly educated individuals on the economic development of the sending local economy. However, the drain of young, highly skilled and dynamic people might also slow down political renovation, and worsen the quality of political leadership in the local governments. Political scientists first noticed a trade-off between “exit” (i.e. leaving the country) and “voice” (i.e. political activism in the country) for people who wanted political change in totalitarian countries such as Eastern Europe before the fall of Communism (see the famous essays by Hirshman, 1993). If the more recent emigration from southern to northern Europe drove young people abroad on a similar “exit”/“voice” trade-off margin, we should expect the emigration to drain the political and social capital that is crucial for political renewal and change. This is what happened to Italian local governments in the years between 2008 and 2014. Another important but much less noticed mobility phenomenon has been on the rise. This is the increased mobility of young, mostly highly educated individuals from Southern to Northern Europe, which is a consequence of free mobility in the European Union. During this period, younger, more gender-balanced, and usually higher-educated political leadership emerged in many local governments, especially in the North of Italy following a widespread demand for change and reforms. However, municipalities with larger emigration rates exhibited a substantially slower pace of political change (or no change at all), as measured by characteristics of the political leadership (e.g. their education, gender, and age) and political efficiency of the local government. More specifically, larger emigration rates during the recession were related to a decrease in average education, an increase in average age, and a decrease in women’s share in the local political leadership (mayors and city council members) between 2008 and 2014. High-emigration municipalities also had a decrease in political participation (electoral turnout), and weaker support for protest/anti-establishment parties which had a larger probability of experiencing a dismissal of the local government for grave dysfunctionalities or corruption. This evidence is consistent with the worsening in the quality and performance of local politicians in municipalities with large emigration rates. One explanation for such relationship is that young, educated, and dynamic voters, and potential political leaders, found an easier way to fulfil their need for improvement and change in the emigration option (exit). This reduced the potential for change in the local political environment (voice option). 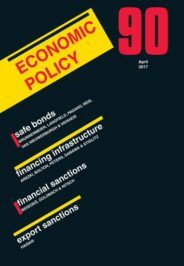 While free mobility across European countries brings large gains overall by allowing productive young individuals to migrate towards better opportunities, it might have important distributional effects: economically strong countries tend to benefit from the migration inflows of these productive workers, while the economies suffering stronger economic recession are penalized a second time by the drain in political capital and the consequent political and institutional stagnation. A vicious circle that might dramatically amplify the divergence across countries. On the verge of Brexit, this Italian emigration episode also represents a cautionary tale for the effects of a possible drain of young, productive, European and British individuals on the British economy and political system. Remaining connected with the diaspora, allowing emigrants to play a role in the political renovation of the country of origin by remitting ideas and values, and granting them voting rights and participation mechanisms in the political process, are possible strategies for recovering part of the “lost political capital” of emigrants. Featured image credit: Crowd Of People by Free-Photos. Public domain via Pixabay. Massimo Anelli is Assistant Professor at Bocconi University, Department of Policy Analysis and Public Management. He is also Research Affiliate at CESifo and IZA and Research Associate at Dondena Centre for Research on Social Dynamics and Public Policy. His research focus is on the Economics of Education, Migration and Gender. Giovanni Peri is Professor of Economics, Chair of the Economics Department and Director of the Migration Research Cluster at the University of California, Davis. He has published extensively in academic journals and books about the economic determinants and effects of human migrations and his research is often featured on the Economist, the New York Times, the Wall Street Journal, NPR news and other popular newspapers and blogs. They are authors of the article "Does emigration delay political change? Evidence from Italy during the great recession."